Filipinas want beautiful hair and they are willing to invest their time, money and effort to get it. Every day, women make their hair go through torture – heat styling, friction from brushing,chemical treatments, among others – in order to keep their hair beautiful. It’s no surprise then that their hair can look limp and lifeless and that women may feel lifeless too because of their hair. Now Filipinas can discover healthy hair that’s full of life! During a recent event at SM Megamall, Pantene Brand ManagerMr. Tristan Patricio, explained, “Filipinas can now choose between hair that sways or bounces with life.” Pantene Nature Care Fullness and Life has Cassia Complex and avocado oil for full hair that bounces with life. 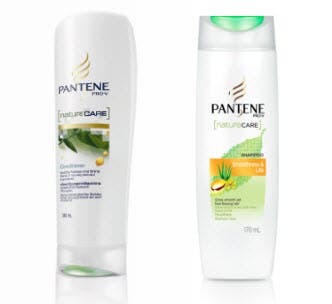 Pantene also introduced new Pantene Nature Care Smoothness and Life with Cassia Complex and aloe vera to help reduce friction between strands for hair that sways with life. With new Pantene Nature Care, every day can be full of life! And who better to invite women to be full of life everyday than celebrities who embody being fun and full of life themselves? 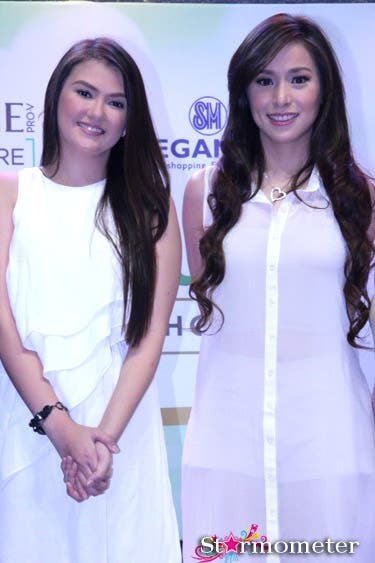 Pantene Nature Care Ambassadors Angelica Panganibanand Cristine Reyes invited Filipinas to bring back life back to their hair and to make their choice between sway or bounce. Angelica and Cristine shared how they manage to stay energetic and full of life every single day despite their demanding schedules. Angelica admitted that quality time with her family and friends helps her maintain balance in her life. Cristine, on the other hand, makes sure that she rewards herself for her hard work by traveling. However, both women agreethat being full of life should apply not only to their actions, but also to their hair. Now that Angelica and Cristine have discovered healthy hair that sways and bounces with life, they also inviteother Filipinasto make their choice. Filipinas can vote for Sway or Bounce on Pantene Philippines Facebook Page for a chance to be one of six women to be featured on TV. Another highlight of the event was thePantene Nature CareBeauty Studio where, for a minimum purchase of Php150.00 worth of Pantene products,shoppers were given free hair and makeup that prepared them for aSway or Bounceprofessional photo shoot. 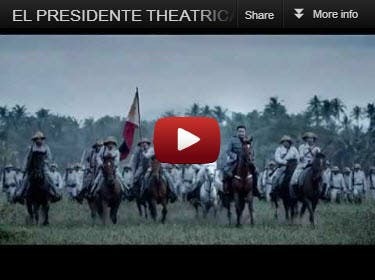 These photos were then uploaded to the Pantene Philippines Facebook Page as entries to theonline promo. Never settle for heavy and lifeless hair again! Like Angelica and Cristine, sway or bounce with hair that’s full of life with Pantene Nature Care. Sway or Bounce – Make your choice! Log on to www.facebook.com/PantenePhilippines to cast your vote for Sway or Bounce and to find out when the next Pantene Beauty Studio will come to a mall near you!